Business travelers have become an increasingly important part of Airbnb’s business, according to a new blog post. The company says that Airbnb for Work, which launched in 2014, has seen bookings triple from 2015 to 2016, and triple again from 2016 to 2017. In fact, Airbnb says that almost 700,000 companies have signed up for and booked with Airbnb for Work. 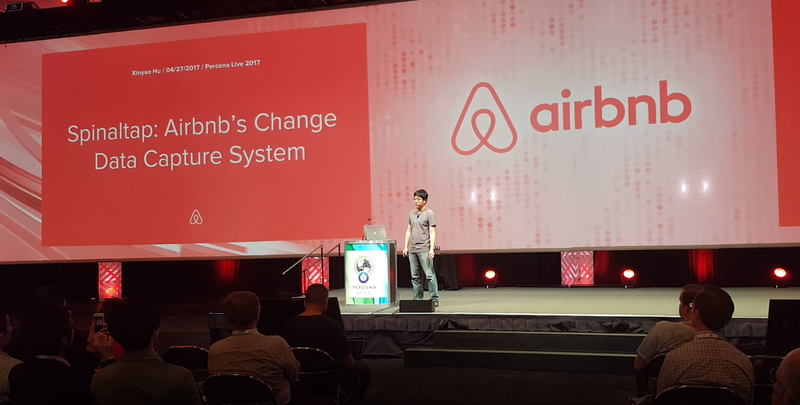 In this talk, Xinyao introduced Airbnb’s change data change system, Spinaltap. He briefly covered its design, and focused on various use cases inside Airbnb. These use cases covered both online serving production and offline large distributed batch processing. 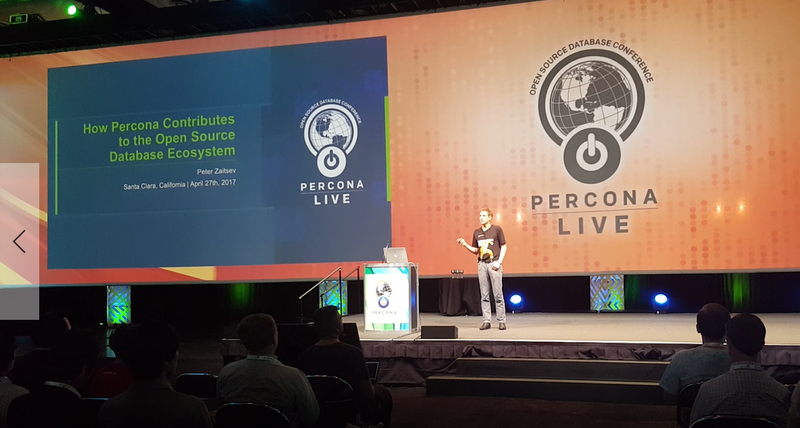 Peter Zaitsev, CEO of Percona, discussed the growth and adoption of open source databases, and Percona’s commitment to remaining an unbiased champion of the open source database ecosystem. Percona remains committed to providing open source support and solutions to its customers, users and the community. He also provided updates and highlighted exciting new developments in Percona Server software for MySQL and MongoDB. Jean-François Gagné presented a fascinating talk about using a metric for observing Booking.com’s system health: bookings per second. 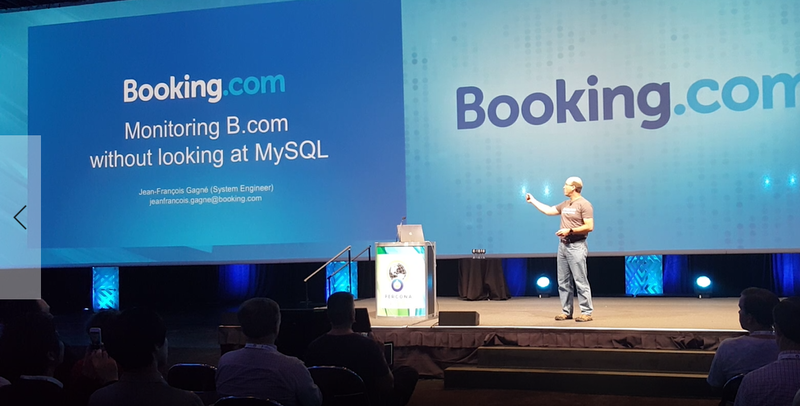 It wasn’t a technical deep-dive (not MySQL- or Linux-related) but it is one of the most important metric Booking.com has to detect problems (and customer behavior) on the website. Many things impact this metric, including the time of the day, the day of the week or the season of the year. The MySQL Community Awards initiative is an effort to acknowledge and thank individuals and corporations for their contributions to the MySQL ecosystem. It is a from-the-community, by-the-community and for-the-community effort. Awards are given for Community Contributor, Application, and Corporate Contributor. More information can be found here: http://mysqlawards.org. 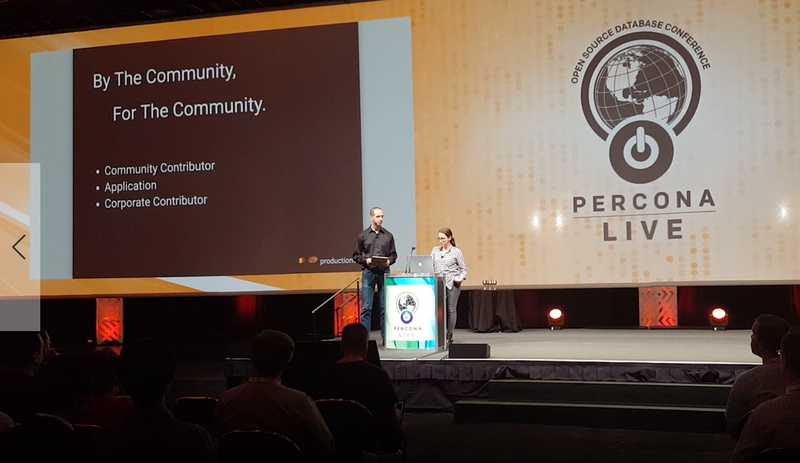 Congrats to the winners, the entire open source community, and to all the Percona Live attendees this year. There are still sessions today, check them out. It’s been a great conference, and we’re looking forward to seeing you all at Percona Live Europe!